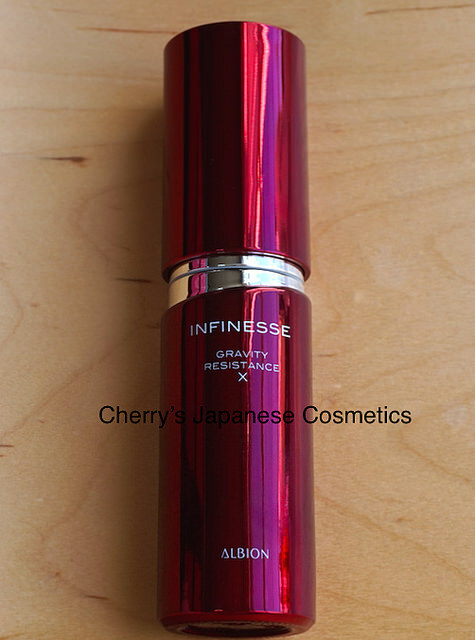 As of AW2017, Albion Changed the formula of Infinesse Moisture line to Infinesse Derma Pump line. 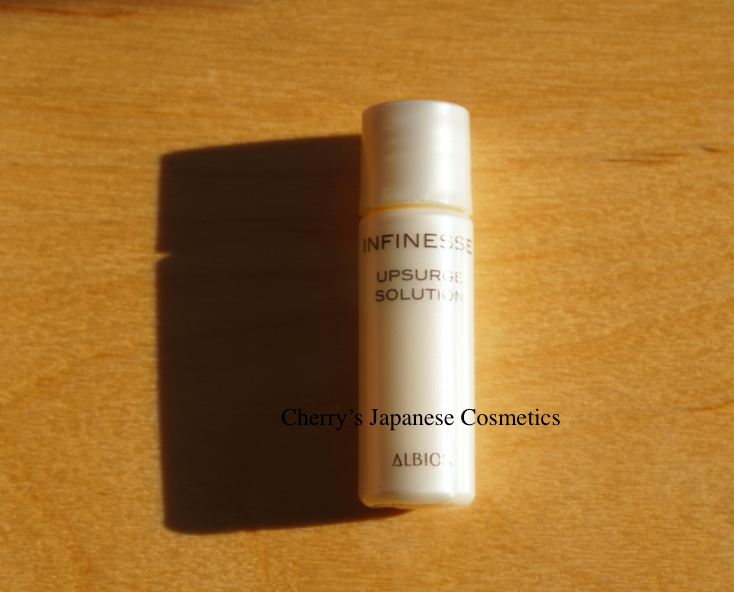 Infiness Gravity Resistance X is changed to ALBION INFINESSE UPSURGE SOLUTION. 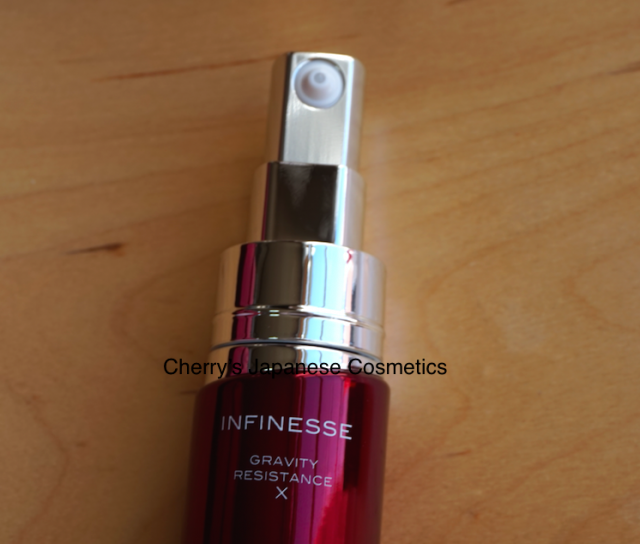 I had used a full bottle of Infinesse Gravity resistance X :D.
Indeed, it is already done, and checked the samples, there are no samples of this previous formula. The full bottle is a pump style, and I prefer pump things because of the hygiene. Seems the current formula of ALBION INFINESSE UPSURGE SOLUTION is the same style. In Albion Skincare method (See also Albion Skin Care Method), this product must be used on the final step, “wrapping”. There are many products you can “wrap” your skin, I am meaning especially creams, but I need to note for you that this is quite light. But it is meaning just I am comparing with other Albion products, and still I do not recommend those who are oil prone. Infinesse is for making your skin supple, and still am satisfied with my skin. I can not tell you about this. 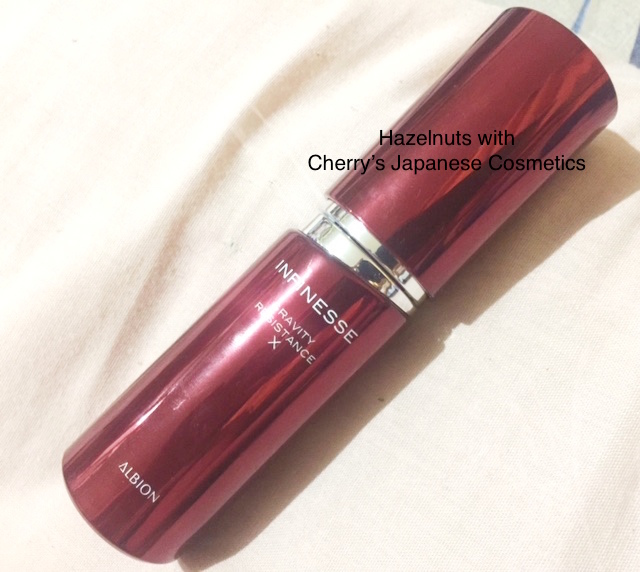 Talking with Hazelnuts of Philippines, she is not a person of who enjoys the scent of cosmetics, and seems she likes Albion perfume. I decided to give a bottle to her. Living in a humid, tropical country is a big factor as to why I always reach for brightening skincare products, to combat dullness and UV damage. But then, being my 30s, I do recognize that I also need to pay attention to fine lines and skin firmness. Unfortunately though, most of the anti-aging/firming lines I’ve tried are too rich for my skin type. I still hope to find a good skin firming line that would work for me. So, when Cherry sent me the Albion Infinesse Gravity Resistance X to try, I immediately tested it. After all, I’ve had pretty good results from using Albion products. The Albion Infinesse Gravity Resistance X is a serum, meant to be used as the final step in skincare, and has ingredients for lifting and firming the skin. I found the serum quite light, so it was easy to apply on my skin, and after a few minutes, it became a bit sticky when I press my palms on my face—- there was an instant feeling of “tightness” which was not uncomfortable at all. It’s like the serum wrapped itself around my face. The “tightness” then subsides, and my skin felt moist to touch. My face felt smooth while using this, particularly my cheek area where I have noticeable pores. After using this my pores seemed to get smaller, and my makeup glides with ease. Aside from the instant tight feel, this is the area where I saw results. I cannot comment on how it firms up the contours of the face, perhaps because sagging is not much of a concern for me as of now. I almost forgot to comment on the scent! It’s more floral/woody compared to Excia Al or Exage, and I found the scent quite sophisticated. Please take note for those who do not like stronger scents in their skincare. 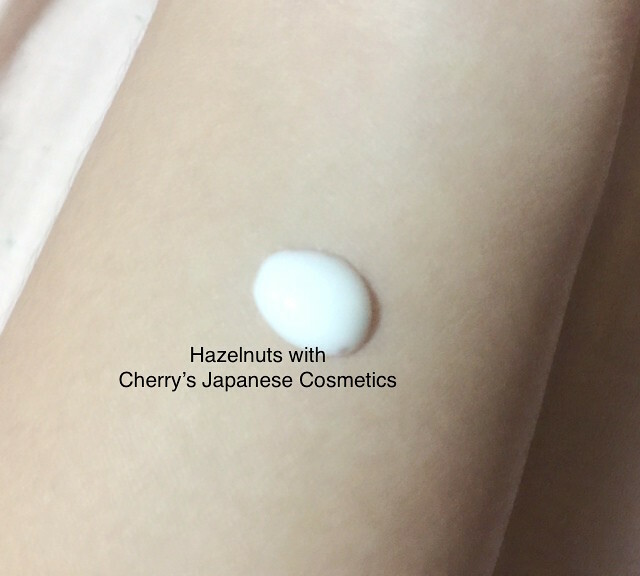 I personally enjoyed the smell and it makes application quite enjoyable, together with the light, smooth texture of the serum. I felt that this product was a good starting point for me, for pore and firmness concerns around the cheeks. Also, I preferred to use this alone, because the light texture gives enough moisture to my skin. Please check the latest price, and order from here: “ALBION INFINESSE UPSURGE SOLUTION”, or in JPY Branch!